While there are several different types of sleep apnea, obstructive sleep apnea is considered the most common variety of the condition. This happens while a patient is sleeping and occurs when the airway is blocked and therefore interrupted during the night, interfering with sleep patterns. It is a fairly common disease and is one that can be easily managed with the use of simple medical devices that keep the airways open during the night. Obstructive sleep apnea was fairly recently uncovered in the 1960s. It has been found to be more common in those who are extremely overweight, and who are smokers and drinkers of alcohol. It has also been found to be related to those who have had strokes or cardiorespiratory difficulties. It is not an uncommon disorder and is felt to affect about 12 million people in the US. While the condition is benign in some, it can be life threatening and can kill some of its sufferers. Those who suffer from obstructive sleep apnea are often the last to know they have the condition. It is often noticed as extreme snoring and stoppage of breathing by the sleep partner of the person who suffers from the condition. The sufferer may notice daytime sleepiness and may find they are falling asleep at inappropriate times during the day. 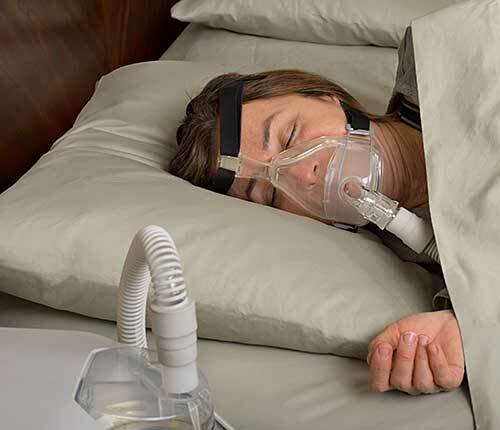 Obstructive sleep apnea may be treated with the use of a CPAP machine. Additional signs of sleep apnea include falling asleep behind the wheel, falling asleep at work or at another inappropriate place. You can also have depression, irritability or forgetfulness as a sign you’re not getting solid sleep at night. You should see your doctor if you are suffering from any of the signs or symptoms of sleep apnea because something can be done. Some symptoms and signs of sleep apnea are dangerous and can negatively impact your health. Relationships can be affected and you can have problems sleeping with others due to the noise of snoring. It can affect your waking hours as well by making you less effective during the waking hours. There are a number of effective treatments for this disorder, some of which are permanent therapies that make it so you never get obstructive sleep apnea again. The best and most commonly used therapy for obstructive sleep apnea is called CPAP, which means “continuous positive airway pressure”. Children who suffer from the condition often get their tonsils and adenoids removed. There can, in adults and children, be surgical or non-surgical treatment for sleep apnea such as the CPAP or sleep apnea machine. With the right treatment, obstructive sleep apnea can be a thing of the past and you will sleep more comfortably now and in the future. See your doctor if you have any signs or symptoms of sleep apnea and desire treatment for it.